At Internews, a media development organization, where I serve as Global Health Media Advisor, we had navigated this complexity alongside local journalists for whom we provided training to help them respond to the Ebola crisis. We also partnered with the humanitarian community to provide two-way communication channels to affected communities. Early in 2015, Internews set up DeySay, a rumor tracker that detects and manages Ebola-related rumors, which are coordinated and analysed for trends at a central hub in Monrovia. The tracker has picked up on wild speculation that the government of Liberia was profiteering from Ebola and recorded widely held beliefs that the disease is not real. Distrust in government is rooted in the years of civil war and conflict preceding Ebola. Also, early on in the outbreak, many people resisted treatment for Ebola because early presentation of the disease is with symptoms similar to malaria or even flu. Malaria is endemic in Liberia, and so often the symptoms seemed like those of a familiar disease. Through-out the epidemic, viral sequencing had shown different mutations of the current strain found in West Africa, thus enabling scientists to identify the origin of a single infection as being a version circulating in localized parts of Liberia, Sierra Leone or Guinea. This resolution of the Ebola DNA detective story helped put an end to the common rumor that the new Ebola cases came from across the border, from Guinea or Sierra Leone. Or did it? As the science on Ebola has unfolded, those most affected have been trying to make sense of the complex procedures utilized in scientific laboratories to arrive at such conclusions. However, this language is not easy to follow if you’re new to molecular genetics. So, the question our team of local journalists repeatedly faced was How can we make sure this critical information is broadly understood by the people? Ebola Deeply, a digital media project at Internews whose goal is to “build a better user experience of the story by adding context to content,” took on this challenge in a two-part series titled Unlocking Ebola’s Secrets. To translate, the team visited Liberia’s genome sequencing center where researchers sequenced the genome of viral samples taken from the 17-year old boy who died in the town of Smell no Taste in Margibi County. There they learned that by using genome sequencing, the scientists were able to determine that the viral strain in the boy’s body was genetically similar to that circulating in this area of Liberia last year. This finding ruled out cross-border transmission from Sierra Leone or Guinea. It also ruled out rumors, including that the boy died from eating infected dog meat. The viral forensics had shown that the virus which killed the 17-year-old young man in June 2015 and which caused Ebola to re-emergence in a small pocket in his town in Margibi County, had the same signature as the virus present in his area earlier in 2015. Translated to plain language, the journalists explained in their report, “Genome sequencing enables researchers to track the way a virus mutates over time…the process of genome sequencing is like “turning the pages of the virus’s personal diary”. 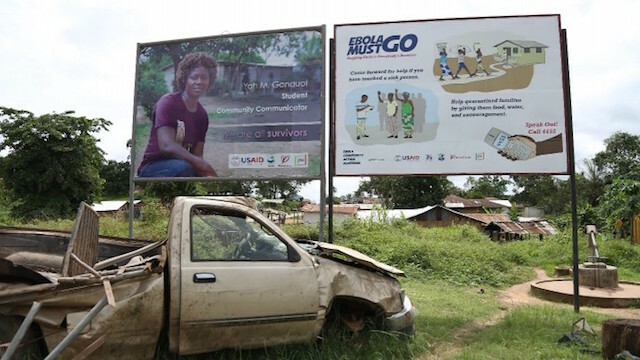 Toward the end of July 2015, the WHO’s Dr Bruce Aylward and colleagues from the US Centers for Disease Control and the Liberian Ministry of Health told humanitarians in the Ebola response that the world of science is braced for a period of immense learning. The West African Ebola epidemic has been the most devastating the world has seen. More than 11,000 people have died, and, connected to this scale and to an increasingly more efficient Ebola response, is the fact that this epidemic has left behind the largest number of Ebola survivors ever – people who have been infected, but who did not die of Ebola. To families, these are loved ones who are still with them; to science, this is an opportunity to unravel some of the many questions about Ebola that remain unanswered.